Sri Lanka is eager for opportunities unfolding in the Brexit aftermath-has enlisted the WTO to unravel new global opportunities for Lanka’s growing service exports. 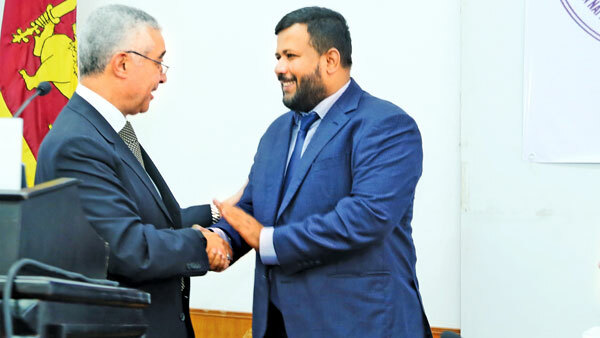 “The new changes from Brexit give an opening for Sri Lanka to go for a one-to-one trade agreement with UK,” Industry and Commerce Minister Rishad Bathiudeen said yesterday. Minister Bathiudeen was addressing the inauguration of Trade in Services Workshop by his Department of Commerce at BCIS, Colombo yesterday. The interactive awareness seminar is supported by World Trade Organisation. WTO Trade in Services Division Director Abdel-Hamid Mamdouh was present. “When we remove UK export numbers in 2015, the total exports to EU are still a significant US $ two billion. Even if the actual post Brexit separation will take place two years after activation of Article 50, we need to understand that Brexit is a new door that has opened but unlike many international other trade doors, we do not know where this (door) opening will lead to,” said Minister Bathiudeen. The visiting Director Trade in Services Division of WTO Abdel-Hamid Mamdouh, said that services in trade is a promising sector. “Without services, manufacturing cannot take place” he said.